The Sidebar: Prominent nutrition researcher who helped develop and researched failed NuVal nutrition scoring system: "I would have done things very differently"
Prominent nutrition researcher who helped develop and researched failed NuVal nutrition scoring system: "I would have done things very differently"
The NuVal Nutritional Scoring System is a unique food labeling system which ranks all foods between 1 and 100; the higher the score, the better the nutrition. NuVal scores can be found in nearly 2,000 supermarkets, as well as in schools, hospitals and other health facilities. The NuVal System is endorsed by the American College of Preventive Medicine (ACPM), and a recent Harvard School of Public Health study showed that those who ate food with more favorable NuVal Scores had a lower risk of chronic disease and had a better chance of living a longer, healthier life. NuVal LLC is a joint venture formed in 2008 by Topco Associates, LLC, and Griffin Hospital. To learn more about NuVal, visit www.nuval.com | Facebook: https://www.facebook.com/NuVal | Twitter: @NuVal. Per a story I broke last week, the director of NuVal LLC in Quincy, MA, wrote me that the company has terminated its supermarket scoring system, so presumably the "nearly 2,000 supermarkets" that once used it are making other plans. Click the links in the above press release and you'll get the picture. Tops Markets is getting rid of a controversial nutrition ratings system it has used to help customers make food purchasing decisions...Two other grocery chains have dropped NuVal recently, including California-based Raley's and Massachusetts-based Big Y, which told the Yale Daily News the system was "out of date." 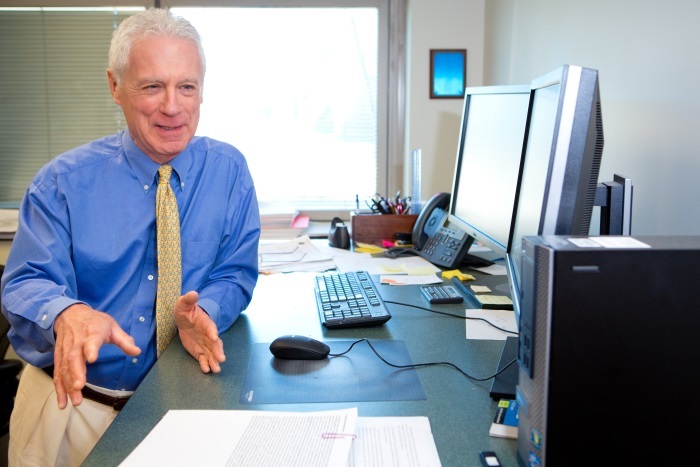 ...Leonard H. Epstein, a distinguished professor and chief of behavioral medicine at the University at Buffalo medical school, served on NuVal's scientific advisory board. He said he didn't always agree with the creators' decisions, the system's creators didn't always take the board's advice and that, if he had been one of the system's makers, he "would have done things very differently...If you don’t believe in the criteria that NuVal uses, then the algorithm would not work to guide you to healthier eating," he said. Via a public records request, here's Ms. Christmann's complete Q&A with Dr. Epstein; page down for a copy of the original correspondence. I am not one of the creators of NuVal, but rather was a member of their scientific advisory board. As with any of the scientific advisory boards, sometimes the leadership takes your advice and sometimes the leadership does not take your advice. David Katz from Yale created the system, not me or any other members of the advisory board. I'm sure each of us agrees with some aspects of NuVal and not with others. 1) How do you respond to people who say the NuVal system is outdated and "fatally flawed"? NuVal is one among many nutrient profiling systems. The idea of a nutrient profiling system became popular because most consumers have a very difficult time making sense of information on the nutrition label when purchasing food, so different groups attempted to simplify decision making by using numbers (either continuous or categorical) or color-based systems. There is still quite a lot of activity in this area. Each nutrient profiling system uses different criteria for rating foods. 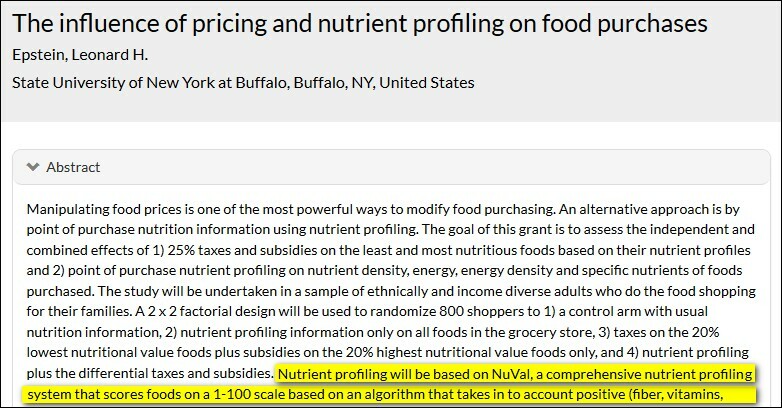 NuVal does not publish the full algorithm but does indicate what characteristics of foods increase the rating, and what characteristics of foods decrease the ratings. The secret, that no one outside of NuVal knows, is the specific weights given to characteristics of foods. If you don't believe in the criteria that NuVal uses, then the algorithm would not work to guide you to healthier eating. The criteria they use is based on the general USDA recommendations, but if you were eating a paleo diet NuVal would not be useful, for example. Guidelines for healthy eating and what types of foods to avoid evolve as new research is published. I have not been involved on the scientific board of NuVal for many years, but it is my impression that the algorithm has been changing to keep track of the science, but that's something you would have to check with NuVal. 2) How is it that brownies and ice cream can be scored higher than canned fruits and vegetables? There are two ways to use any nutrient profiling system, whether it is NuVal or another system. First, these systems can help you choose among foods within a class of foods. For example, if you were going to buy cereal, NuVal might be helpful in identifying a low-fat, low-sugar cereal that is nutrient dense. Similarly, if you were going to buy yogurt, or ice cream, NuVal could help you identify the healthiest option based on the criteria they use to rate foods within that class of foods. In terms of your question, can NuVal help identify the healthiest ice cream, or the healthiest fruit or vegetables. Once again, if you believe the criteria they are using is correct, then the NuVal rating would be helpful. In addition, NuVal could help consumers make decisions about whether they wanted to increase purchasing of a class of foods versus another class. For example, if you wanted animal protein as the centerpiece of a meal, NuVal could help decide whether fish, fowl or red meat were better choices. Even within one category, like fish, NuVal could help you decide what type of fish is the healthiest. Since NuVal scores many foods, there may be some brownies or ice cream that score higher than some canned fruits or vegetables, but that does not mean that as a category brownies or ice cream are healthier than canned fruits or vegetables. The backlash in 2012 against NuVal was for brownie mix, but not brownies. There are also variations of low-fat, low-sugar ice milks that are better choices than standard ice cream, and could have higher scores than canned vegetables in syrup that has a lot of sugar, or canned vegetables that have a lot of salt. There are also many canned fruits not in syrup or canned vegetables with low amounts of sodium that would have higher scores. When comparing brownie mix with NuVal score of 22 and mandarin oranges in syrup with score of 7, neither of these are very healthy choices for dessert or a snack, and trying to make distinctions between them will not lead to a healthier diet. A much better choice than mandarin oranges in syrup would be an actual mandarin orange, or an orange. You would see large differences in NuVal or any nutrient profile score for that, more relevant, comparison. 3) Do you still stand behind the system you helped create? Once again, I was on the scientific advisory board, and provided advice to Katz and his group, some of which they took and some of which they did not take. I did not agree with all of their decisions. If it had been my creation, I would have done things (very) differently. A more relevant question is whether I think nutrient profiling systems are useful. I do, but only when I agree with the assumptions of the algorithm. Nutrition science is continually evolving, and nutrient profiling systems need to evolve with the science. A good example is the shift in emphasis from fat in the diet to added sugar in the diet. I don't think any nutrient profiling system is perfect, and you will find anomalies of the type you noted above in any system (how can this food rate higher than that food - not in my book). They were designed to help consumer make healthier choices, and that should be the final arbiter of whether they are useful. Do consumers who use a specific nutrient profiling system purchase healthier foods that consumers who just use the nutrition label? These systems can help, but they can also be improved.